Category 1: Water originates from a sanitary water source and does not pose substantial risk from dermal, ingestion, or inhalation exposure. In most cases drying procedures are recommended. Category 2: Water contains significant contamination and has the potential to cause discomfort or sickness if contacted by people. For this category, environmental interpretation is critical as drying for some materials is acceptable while removal of others must occur. Category 3: Water is grossly contaminated and can contain pathogenic, toxigenic or other harmful agents. In most cases removal is necessary and environmental remediation is necessary. When a water event occurs a water extraction contractor is generally hired to remove the water. However, the ability of the contractor to identify the water category, deal with the issues of health and safety properly as well as remove or dry out the affected building materials and contents can vary greatly. 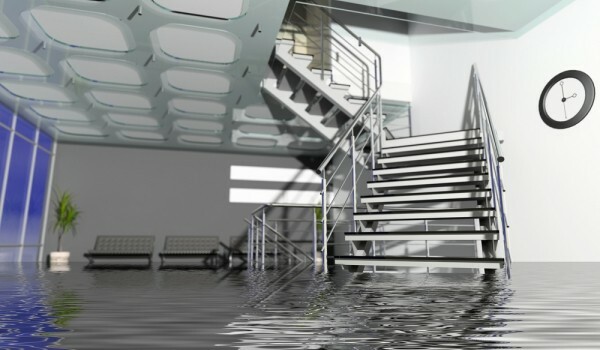 Assessment for water damage independently of the water removal contractor ensures that the project is dealt with relative to the category of water, health and safety concerns are identified and controlled and their work product is validated. If independent assessment is not conducted areas that were overlooked can result in can result in unforeseen damage to building structures and contents as well as potential mold contamination of the building can occur. Additionally, liability associated with the project is a serious concern so independent assessment of the conditions is crucial. AirMD’s Consultants provide third party assessments of water loss conditions by categorizing the water and identifying the required health and safety concerns in accordance with industry standards and guidelines. The consultants conduct moisture mapping and document the affected areas. AirMD’s Cnsultants provide post restoration testing and documentation to verify that all contaminated areas are dry and the areas are free from contaminants. AirMD can serve your environmental testing needs including: Mold Testing and Mold Inspection, Asbestos, Allergen, Bacteria, VOCs, Lead, Heavy Metals, Formaldehyde, and Water Testing.